Thank you for your interest in becoming an Operator with us, working from home. I am sure that there are lots of questions you would like to ask and hopefully we have answered them fully within this website. We are an open and diverse company and we truly believe that the reason our services are the busiest within the UK is because of our outstanding operators who all work exceptionally hard at giving a fantastic service on the phone. The sign up process is very quick, easy and we will have you taking calls within 1-2 working days. WE WANT YOUR TALENT. Our calls are always increasing and we need reliable and enthusiastic operators to join our team. There are two very exciting jobs that are available – both services are exceptionally busy! We have made the joining process really easy. You could be taking calls with the busiest service provider in the UK within 1-2 working days. All you have to do is read the handbook for the job that you are applying for: Adult Chat | Psychic & Tarot Readings and then APPLY HERE. We will then contact you to book you in for your telephone training which takes around 30 minutes to complete and then you can start taking calls! What is the telephone training? Don’t worry it is not a test of any kind! A supervisor will telephone you at an agreed time and will go through how you log on and off the service, how your make your introduction messages and the regulations. It’s nothing to worry about but every operator has to complete this training session. In a nutshell... NO! Our services only operate with excellent operator talent and that is why we are always recruiting for new operators to join our team. Working from home is a fun, flexible and easy way to earn money and we have the calls to give you so that you can earn money from home. Our tightknit team of supervisors working in our offices and at home all have experience in taking calls so we know exactly what it is like. We can offer tips, advice and above all we have the experience to guide you so that you can make the most out of each call sent to you. Ok I’m ready... How do I APPLY? Applying is super easy and all of your information is kept 100% confidential. Just click on the APPLY link and you are half way to starting a new career, working from home! LiveLines UK Jobs... What’s the Story? Around 25 years ago the Manager of LiveLines UK decided to start her own adult chat company and it was a huge success. She soon learnt that reliable, talented and enthusiastic operators were the way forward for a successful service. Fast forward 25 years and that ethos is still going strong. 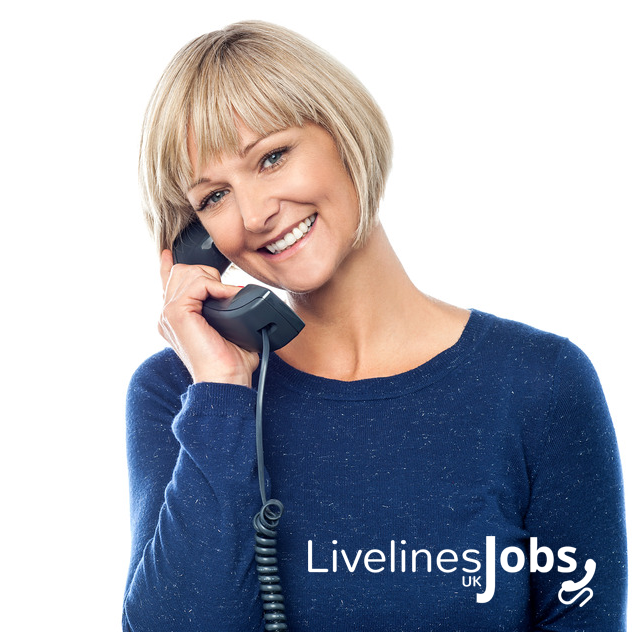 LiveLines UK Jobs is basically the recruiting arm of LiveLines UK. Although we all work in the same office and share the same Oxygen! Our team is specifically designed to help new operators start taking calls and make as much money from being an operator working from home. Please ensure you have read through the information pack thoroughly before applying. We have compiled our FAQ list through years of extensive question answering! If your question is not answered here then please do telephone us on 01604 824290 and we will endeavour to answer your question. Absolutely, we do not share your details with any third parties and callers do not have any access to your details. Will receiving calls or logging on charge my phone bill? NO! You are receiving calls so this does not affect your phone bill and we do not charge you to be logged on. Unfortunately not as the cost to send a call to a mobile is much higher than sending a call to a landline. You can use your mobile to log on and off however your calls will always come through your landline. What landline do I need? You can use any service provider offering a landline service however your phone line has to be clear or withheld call barring, voicemail and call waiting. Each service has a different Pay Scale. Please read the relevant Handbooks to find out. ChatLine Operator Job | Tarot, Psychic Reader Job. Either by bank transfer or cheque. We prefer bank transfer and we know that cheques can get lost in the post and this can be annoying for both you and ourselves! How much do your operators earn? ChatLine operators earn around £200 per week. Tarot and Psychic Operators earn around £300-£450 per week. This does depend on the amount of minutes you do with each caller. Exceptionally good operators are on much more than the average revenue per week. I’m so nervous is there any research I can do? If I don’t want to work anymore what do I do? All you have to do is either email or telephone us and we will take you off of the service. Am I employed by LiveLines UK? No. You are joining on a freelance / self-employed basis. This means that you pay your own tax and national insurance on your earnings. Doing this is very easy and more information about becoming self-employed can on the internet. All of our operators take calls on a self-employed basis. Working with LiveLines is amazing it is really flexible and works well around my life. The service is super busy and I make good money on here. I’ve worked on a lot of psychic services in my time and I can honestly say that LiveLines is the busiest service in the UK with a good mixture of calls. Very happy here. As long as you put the effort in, your revenue will be high. I receive calls every other minute and I am really happy with how busy the service is. My spiritual ability has greatly improved since working with LiveLines. When I put my kids to bed at night, I log on and do many readings. Are you ready to become a part of our team? Receive tips and helpful advice on our LiveLines UK Jobs Blog site. 2019 © Livelines UK - All rights reserved.